an architecture: World of Chicken. 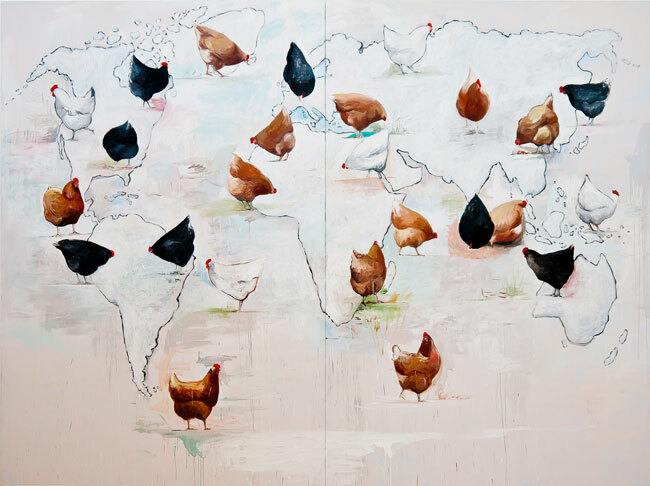 Chicken world map, seen at the Essl Museum, near Vienna. "For each villager I started to draw a chicken - following numerous chicken paints, also a world map" Alois Mosbacher explains. Still an up-to-date painting, isn't it?